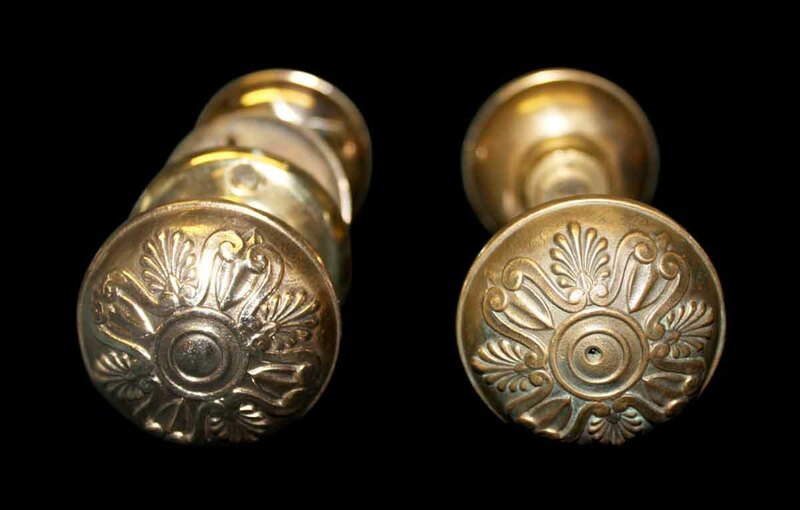 These are 4 fold cast bronze door knob sets made by Yale & Towne in the 1905 catalog. The pattern is called ‘Ephesus’ or ‘Mililetus’. It is part of the H-436700 Ephesus Design group. Greek style knobs. 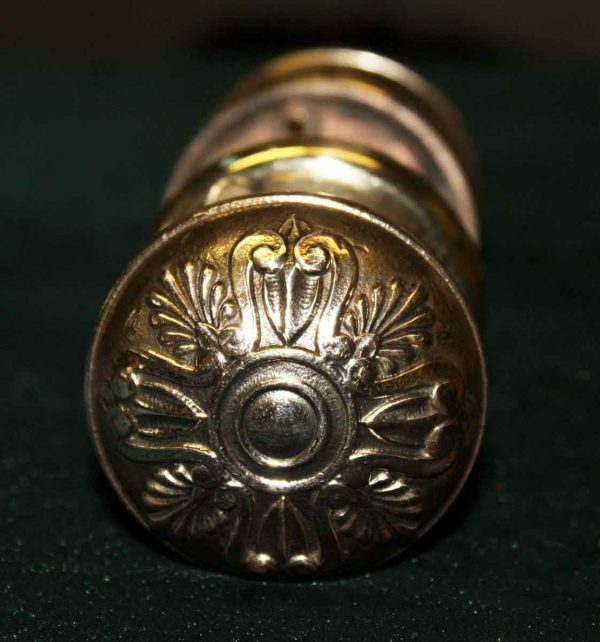 This item is priced per set, which includes two doorknobs, and one spindle.